Alabama businesses face significant risks posed by weather-related natural disasters, including physical losses to property, business interruptions and loss of income. Though Alabama was mostly unaffected by the devastating natural disasters suffered throughout the country last year, these events resulted in more than $330 billion in losses according to some insurance industry estimates. While the full economic impact of the 2017 natural disasters is not fully realized, a 2013 study by the American Sustainable Business Council revealed natural disasters are particularly devastating to small- and mid-size businesses. According to the study, one-quarter of small and mid-size businesses hit by a catastrophic storm do not reopen. The researchers also estimated small businesses lose an average of $3, 000 per day after closing caused by a major storm event. The impact of last year’s extreme natural disasters, as well as those other disasters of the past decade, demonstrate how important insurance is for businesses in absorbing resulting financial losses. Thus, Alabama businesses should take proactive measures to ensure their insurance policies meet their particular risks and expectations. Property damage coverage generally provides coverage for physical loss or damage to business property, such as buildings, machinery, equipment, inventory and raw materials. The typical property insurance policy provides coverage for the cost to repair, replace or rebuild property that suffers physical damage. However, the cause of the loss is often crucial to determining whether coverage is afforded under the typical property insurance policy. For example, most property policies cover damages caused by fire, windstorms, hail, riots and explosions. However, many property insurance policies contain exclusions for flood damages, but flood insurance is generally available either as stand-alone products or as endorsements to other policies. Thus, Alabama businesses vulnerable to flood damages should review their insurance programs to ensure insurance is available to provide coverage for flood risks. Debris removal coverage is a common additional coverage to most property insurance policies. It covers expenses incurred in the removal of debris of covered property damaged by an insured peril, such as a tornado or hurricane. Debris removal coverage can be particularly valuable for businesses needing to dispose of hazardous materials following a natural disaster due to the high costs associated with the disposal of such materials. However, debris removal coverage may be limited to a percentage of the total loss and may exclude trees, shrubs and plants. Natural disasters often cause businesses to incur additional expenses beyond repairing or replacing damaged property. The cost of operating a business often increases during the aftermath of a natural disaster. Extra expense coverage is intended to cover the insured for such extra expenses. Extra expense coverage may include the cost of generators when electricity is lost in the aftermath of a storm, costs of security guards to prevent looting or costs associated with the usage of a temporary business location during the restoration period. In the aftermath of a natural disaster, businesses likely suffer lost income and profits from the suspension of their operations. Business interruption coverage is designed to cover lost income and profits. This coverage is typically limited, however, to the loss of income sustained during a “necessary suspension” of operations. Depending on the policy, this may require a total cessation of operations or a partial cessation. Additionally, most policies include a 72-hour waiting period after the damage occurs before business interruption will be covered. Thus, business owners are advised to read this coverage closely and determine whether their needs are being met for potential business interruption risks. Even if your business is not directly impacted by a natural disaster, you could still suffer losses if your business relies on an affected party. Contingent business interruption coverage provides coverage for loss of income due to physical loss or damage to property of a third party, such as a supplier, customer or logistics company your business relies on to operate your business. For example, a manufacturer can purchase contingent business interruption coverage to protect it if its sole supplier of a key component suffers destruction of its factory and that causes the manufacturer to suffer a business income loss from its inability to complete manufacture of its product. Accordingly, a business that has a close relationship with a supplier physically located in a destroyed building may be able to recover for losses suffered in the wake of the destruction of that supplier’s physical plant. Similar to business interruption coverage, contingent business interruption coverage is often subject to a waiting period and does not incept until after the specified waiting period has elapsed. Civil authority coverage is designed to provide coverage for business income losses incurred as a result of an order by a civil authority preventing access to the insured’s place of business. For example, this coverage applies if an evacuation order, roadblock or forced power outage prohibits access to your business. This coverage is designed to provide coverage for business income losses attributable to interruption of utility or telecommunications service. Income losses from such outages should be covered under most property insurance policies. As with contingent extra expenses, a policyholder’s expenses in minimizing the loss caused by service interruption should be covered. For instance, the policy may cover the purchase of cell phones for employees to use while the company’s phone service is out of order. This coverage is designed to protect construction sites from loss and damages. Businesses in the construction industry should consider builders risk insurance products to protect against damages caused by natural disasters. Like traditional property insurance, builders risk insurance generally provides coverage for damage caused by fire, lightning and wind. However, damages caused by floods are frequently excluded on most builders risk policies. If your business is working in an area where you have a high risk of flooding, you may need to add supplemental coverage to your builders risk policy to cover it. 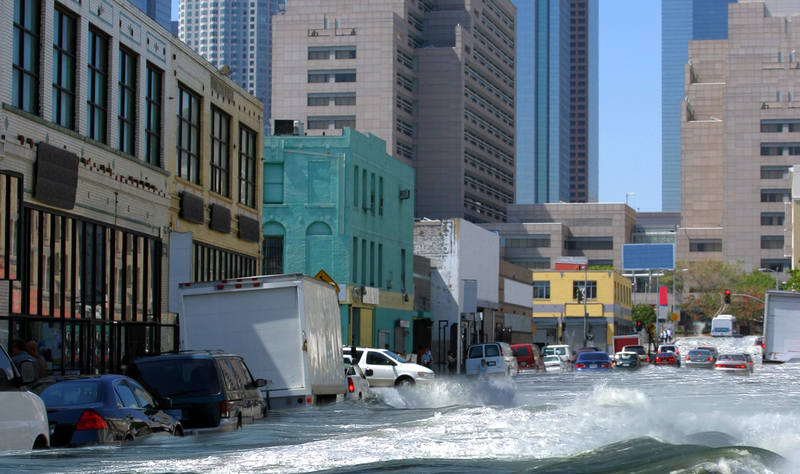 Each business faces unique obstacles and challenges, and it is critical to develop a plan to prepare for potential impact arising from natural disasters. As we have all been reminded over the past decade, disasters will happen. With this realization, Alabama businesses should consult with their insurance and legal advisors to identify the most appropriate insurance products for their business risks. Brandon J. Clapp is an attorney in the Birmingham office of Swift, Currie, McGhee & Hiers, LLP. He is a member of the firm’s coverage and commercial litigation section, where he counsels clients in a broad variety of litigation matters, including insurance coverage, construction, commercial disputes, professional liability and personal injury. He may be reached at brandon.clapp@swiftcurrie.com. Is the road to the future being paved in the Alabama House of Representatives this morning?